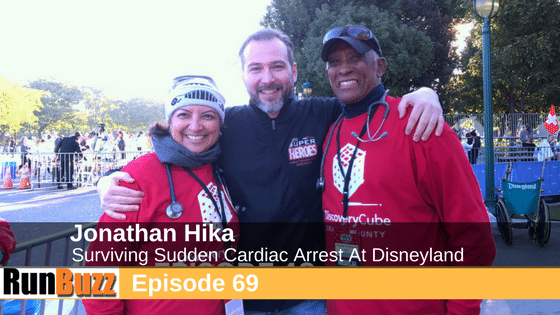 In this episode, I speak with Jonathan Hika, who survived a cardiac arrest shortly after crossing the finish line of the Disney Superheroes 10k in Anaheim California back in November 2016. Due to a quick response from medical professionals, Jonathan’s heart was restarted after nearly 5 minutes in full cardiac arrest. We discuss Jonathan’s story, the lifesaving efforts, his recovery, and his reunion with the medical professionals who helped save his life. We also discuss the risks and research around sudden cardiac events such as this one so we can understand, what is the real risk behind running and these highly publicized events. Certainly the risk is real, but how does that risk compare to other potentially life ending events like accidents and illness. While Jonathan’s story has a happy ending, a few aren’t so lucky. While extremely rare, sudden cardiac death can occur. Jonathan was lucky. He was in the right place at the right time as medical help was only seconds away. Due to a unknown heart defect, he could have been just as likely to go into cardiac arrest elsewhere. Here is a link to his Behind the Badge article that talks about his reunion with the emergency medical workers that saved his life. 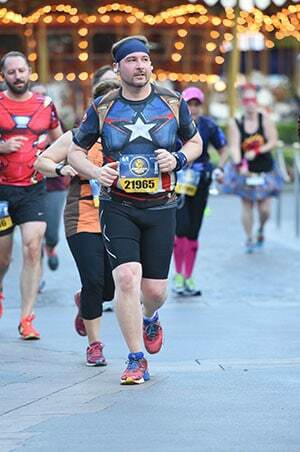 Here is a link to research, as it specifically relates to marathon runners.